All Celine Dion Music CDs & DVDs - click here! Brighten the world with music! 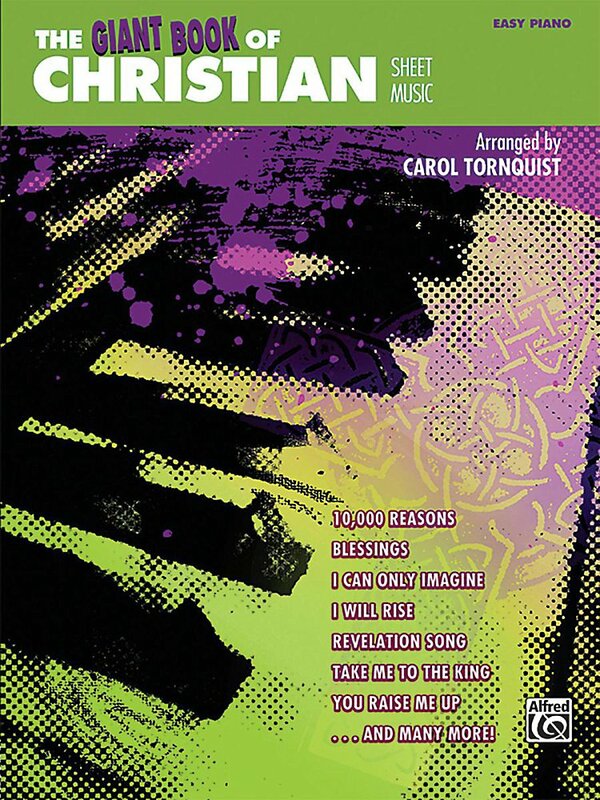 For pianists and vocalists of all ages, this deluxe collection contains more than 300 pages of sheet music for 70 of the most beautiful songs ever written. Popular ballads, timeless standards, classic show tunes and graceful movie themes assure a lifetime of musical pleasure. Titles: Angel Eyes (Jim Brickman) • As Time Goes By (from Casablanca) • Ashokan Farewell (from The Civil War) • At Last (Etta James) • Because You Loved Me (Celine Dion) • Bewitched, Bothered and Bewildered (Cole Porter) • The Blessing (Celtic Woman) • Both Sides Now (Joni Mitchell) • Circle (Harry Chapin) • Danny Boy (Traditional) • Danny's Song (Kenny Loggins) • Dream a Little Dream of Me (Mamas and the Papas) • End of the Road (Boyz II Men) • Endless Love (Diana Ross and Lionel Richie) • Evergreen (Barbra Streisand) • Everything (Michael Bublé) • Everything I Do (I Do It for You) (Bryan Adams) • Falling Slowly (from Once) • Feels Like Home (Bonnie Raitt) • Greatest Love of All (Whitney Houston) • Hero (Mariah Carey) • Hey There Delilah (Plain White T's) • Home (Michael Bublé) • How Deep Is Your Love (Bee Gees) • How Do I Live (LeAnn Rimes) • How Do You Keep the Music Playing? (Patti Austin and James Ingram) • I Swear (All-4-One) • If Ever I Would Leave You (from Camelot) • Just to Hear You Say that You Love Me (Faith Hill and Tim McGraw) • Kei's Song (David Benoit) • Killing Me Softly with His Song (Roberta Flack) • La Vie en Rose (Edith Piaf) • Laura (Johnny Mercer) • Leaving on a Jet Plane (Peter, Paul, and Mary) • Love Will Lead You Back (Taylor Dayne) • Misty (Johnny Mathis) • Nocturne (Secret Garden) • The Notebook (from The Notebook) • On a Clear Day (You Can See Forever) (Lerner/Lane) • On the Street Where You Live (Lerner/Loewe) • Open Arms (Journey) • Out Here on My Own (from Fame) • Over the Rainbow (Judy Garland) • People (Barbra Streisand) • The Prayer (Andrea Bocelli and Celine Dion) • Rhapsody in Blue (George Gershwin) • Right Here Waiting (Richard Marx) • The Promise (Jim Brickman) • The Rose (Bette Midler) • S Wonderful (Diana Krall (Gershwin) • The Shadow of Your Smile (Mandel/Webster) • So In Love (Cole Porter) • Someone to Watch Over Me (Gershwins) • A Theme From Summer Place (A Summer Place) • Summer Wind (Mercer/Mayer) • Summertime (Gershwins) • Take Me Home Country Roads (John Denver) • Thank You for the Music (ABBA) • Truly Madly Deeply (Savage Garden) • Try to Remember (Jones/Schmidt) • Un-Break My Heart (Toni Braxton) • Valentine (Martina McBride and Jim Brickman) • What a Wonderful World (Louis Armstrong) • When I Fall in Love (Heyman/Young) • Where or When (Rodgers/Hart) • The Wind Beneath My Wings (Bette Midler) • You Light Up My Life (Debby Boone) • You Needed Me (Anne Murray) • You Raise Me Up (Josh Groban). 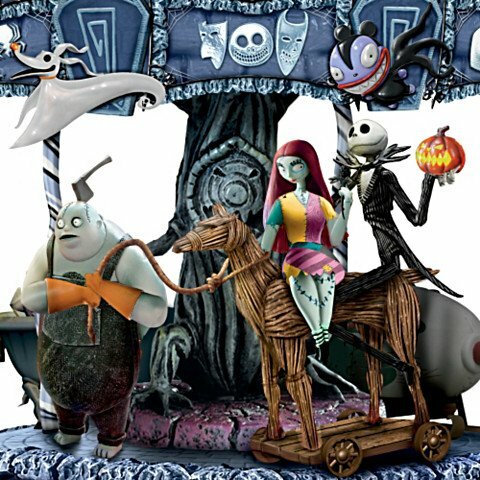 Click on the image for nice Halloween stuff! 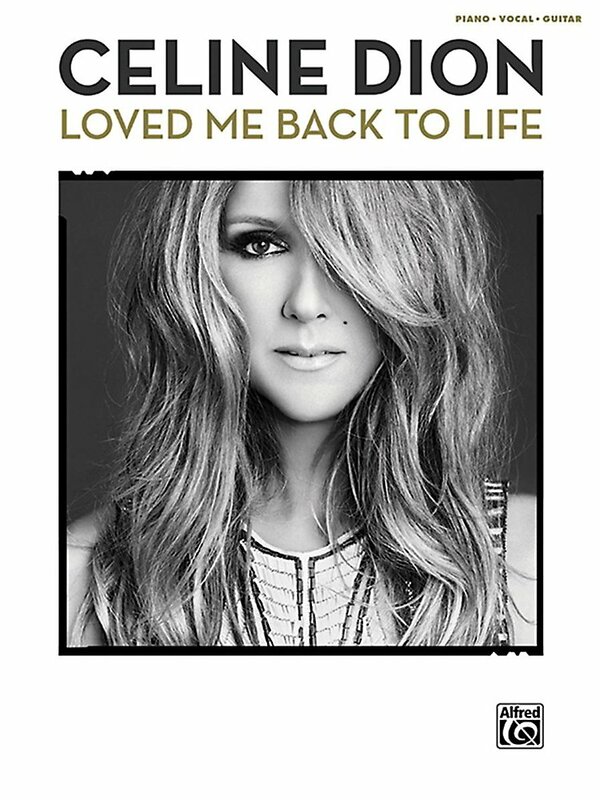 Award-winning musical icon Celine Dion has returned with her eleventh english-speaking album, Loved Me Back to Life. Featuring lush memorable arrangements that compliment Dion's famous voice, the album is a true return to form. The album has been painstakingly transcribed for piano and voice so fans can recreate these fabulous songs. Titles: Loved Me Back to Life * Somebody Loves Somebody * Incredible (Duet with Ne-Yo) * Water and a Flame * Breakaway * Save Your Soul * Didn't Know Love * Thank You * Overjoyed (Duet with Stevie Wonder) * Thankful * At Seventeen * Always Be Your Girl * Unfinished Songs * How Do You Keep the Music Playing * Lullabye (Goodnight, My Angel).